Ours is a trusted name of the industry, which is engaged in offering a wide range of high quality ROPP (Roll on Pilfer Proof) Caps. With an aim to ensure the same, our vendors manufacture these by making use of the high grade raw material and modern technology under the supervision of professionals. These are available at market leading rates to our customers. Bearing the name, top class manufacturer, supplier and exporter of Steel Caps, we offer a wide range of Steel caps in multiple sizes and the liner options ranges from EPE, EPE with Saranex, EPE with tin Saranex. We manufacture our products following industry guidelines, with a perfect blend of quality raw materials sourced from trustworthy vendors of the market. Understanding the demands of the customers, we are engaged in manufacturing, supplying and exporting Small ROPP (Roll on Pilfer Proof) Caps. These caps comply with the guidelines laid by the industry and manufactured by using premium quality aluminum. 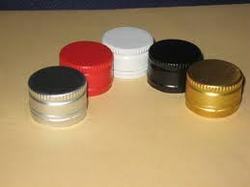 For preventing pilferage, all these caps are sealing devices fitted on glass, plastic and metal containers. Offered caps are can be broken by a simple twist and ensures that the contents remain secure and do not deteriorate or evaporate fast. 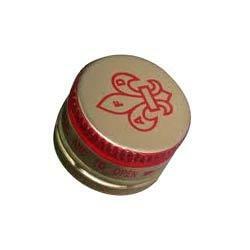 Backed by our experience of this domain, we are engaged in manufacturing, supplying and exporting ROPP Bottle Caps. 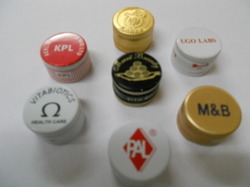 All these pilfer proof caps are extensively used for capping glass and plastic bottles in industries like pharmaceutical and distilleries. These caps are manufactured by using high quality aluminum sheets and following the established guidelines of the industry. In addition to this, a team of experts examine these caps on different parameters to ensure their flawlessness. With thorough knowledge in this industry, we are engaged in manufacturing, supplying and exporting ROPP (Roll on Pilfer Proof) Caps. Used in industries like food, beverages, chemical, pharmaceutical, and distillery, these caps are manufactured by using optimum quality material and following the established guidelines of the industry. A team of experts examine these caps on different parameters to ensure the flawlessness and then forward them for the end dispatch. We are among the most distinguished organizations engaged in manufacturing, supplying and exporting Aluminum ROPP (Roll on Pilfer Proof) Caps. Available in various specifications as well as in customized range, these pilfer proof caps are manufactured in compliance with the established guidelines of the industry. The professionals appointed by us, utilize optimum quality material and employ advanced machines to manufacture these pilfer proof caps offered by us. 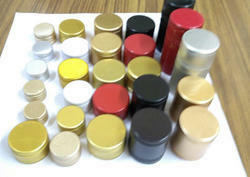 18MM ROPP caps are in huge demand in both International and local market to fill minature bottles. 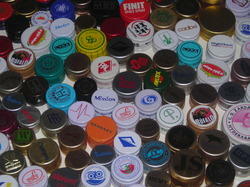 20MM ROPP caps are in huge demand in both International and local market to fill minature liquor bottles. Available in 18mm and 20mm for miniature bottles. Innovation is our forte and we strive to manufacture, supply and export a quality range of Aluminum Glass Bottle ROPP (Roll on Pilfer Proof) Caps. These caps are manufactured under the guidance of our experienced professionals, who strictly follow the norms already set by the industry. Along with this, our professionals make sure to use premium quality material and modern machines to manufacture these caps. Before the final delivery, all these caps are tested by our experts on variegated parameters of quality. Owing to our expertise in this domain, we are engaged in manufacturing, supplying and exporting Printed ROPP (Roll on Pilfer Proof) Caps. The range of caps offered by us is manufactured by using high grade material, employing modern machines and following established guidelines of the industry. 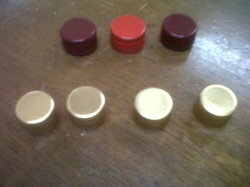 A team of experts examine these caps on different parameters to ensure their flawlessness, before the end dispatch. 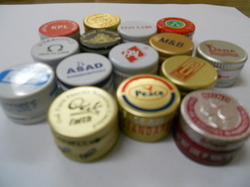 Offered caps are extensively used by industries like food, pharmaceutical, distillery, beverages and chemical.